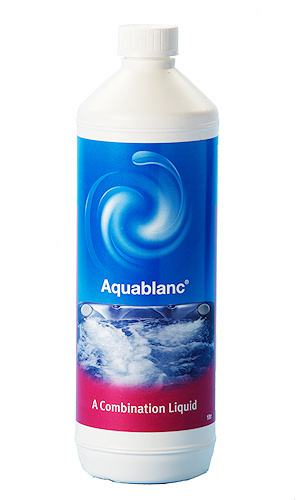 Aquablanc 'A' combination Liquid - 1 Litre for pure and gentle spa water the Aquablanc dual action system is ideal for an ideal alternative to Chlorine or Bromine. 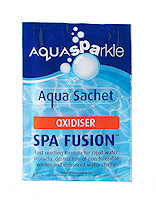 The 'A' Combination liquid is one of the two part active oxygen system for Spa's and Hot Tubs. 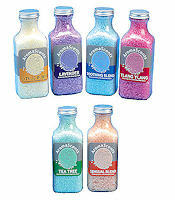 For pure and gentle spa water the above dual action system are presented in 1kg and 1 litre bottles respectively. How to use: Before converting a spa to the Aquablanc system it should first be drained and refilled prior to use, followed by a shock treatment with chlorine to 5 - 10ppm. Add the 'A' combination liquid direct to the spa whilst the circulation system is running and add the O2 tablets via a floating dispenser or spa skimmer (if fitted). 1,000 litres or 220 gallons requires 40ml on start up & 10ml weekly there after. 1,000 litres or 220 gallons requires 2 tablets on start up and 1 tablet prior to bathing.  Never leave children or non-swimmers unattended in the pool.  Never use the pool during a thunderstorm.  Never allow diving in shallow water.  Stop people from running near the pools edge.  Dont allow horseplay in or around the pool.  Never allow glass objects in the pool or around the pool area.  Always remove pool covers completely before getting into the pool.  Do not allow water temperatures to exceed 40oC (lower for children).  Do not leave children or non-swimmers unattended.  Do not overload the spa.  Do not use electrical appliances near water.  Use plastic and not glass around the Spa.  Do not drink alcoholic beverages before or during use of Spas.  If you are pregnant, have high blood pressure or cardiovascular condition then consult your doctor before using Spas.  When changing (dirty) filter cartridges, wear gloves.  Always read the instruction label on chemical products.  Always adhere to the instructions printed on the product label.  Always handle chemicals in a well ventilated area, preferably outdoors.  Always keep chemicals out of the reach of children.  Always wash hands after handling chemicals.  Always store chemicals in a cool, dry place.  Always put the lids back on chemical containers.  When pre-dissolving products always use a clean container.  Never use chemicals that dont have an instruction label.